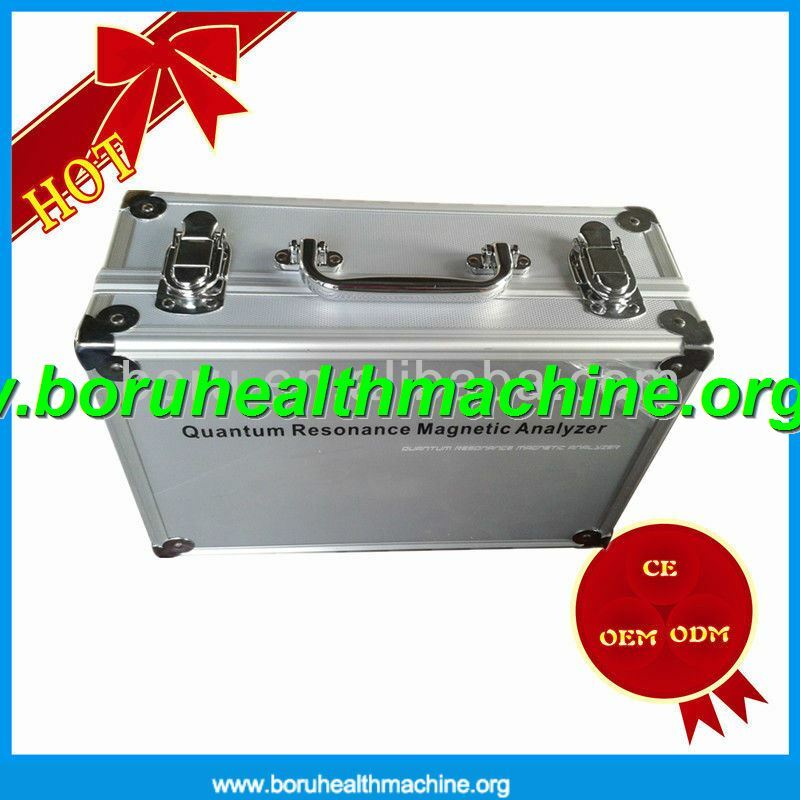 The Quantum Analyzer Acupoint Massage replaces the need for ultrasonic, nuclear magnetic resonance or radiography for various health related conditions. Simply by holding sensors in your palm, health data will be collected within minutes from various body systems. 2 in 1 designed.The part of Analyzer can show the test reporte on the computer.And the massage part is the detox . *No bleeding, tumidness and bruise.No side effects, good effects, no rebounding phenomenon. *The treatment time is short and no need to have a rest, no affect to your normal life and work. *Stylish design, Fine material, soft, and comfortable. 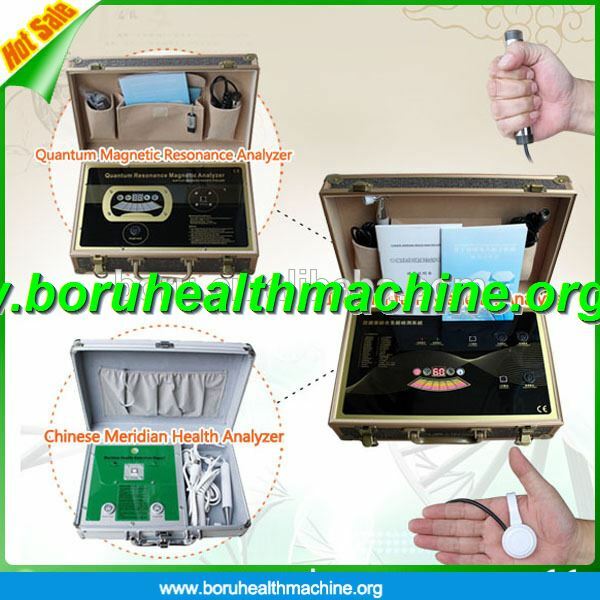 The Unit, 2 in 1 Device, includes two system, One part is Quantum health Analyzer, another part is tens system. 1, Prediction without symptoms: With only 10 or so cells of pathological change, the analyzer can capture the change pathological changes of cells and predict the precursor of disease. By taking health-care actions at this moment, you will be enabled to effectively prevent the various chronic diseases. 2, Speed and accuracy: Multiple indicators of your health can be obtained within minutes. This analysis method is designed to save your time and energy. 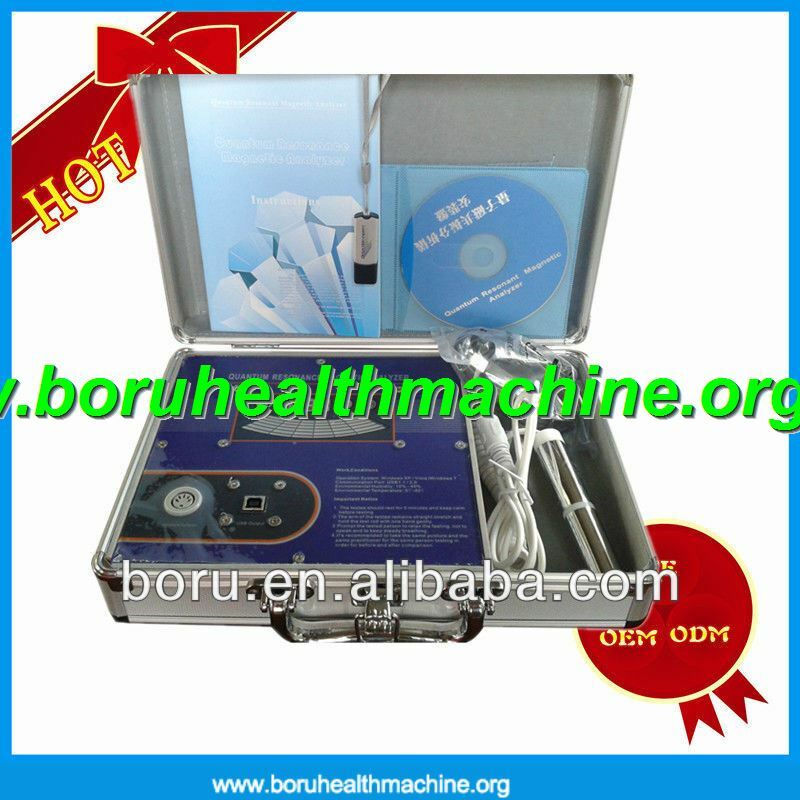 The database of the analysis system has been established with scientific method, strict health statistic treatment and demonstration of a large number of clinical cases, leading thus to a high analysis accuracy. 3, Non-invasive and painless: The analysis will tell you the condition of your health without hemanalysis or radiography. 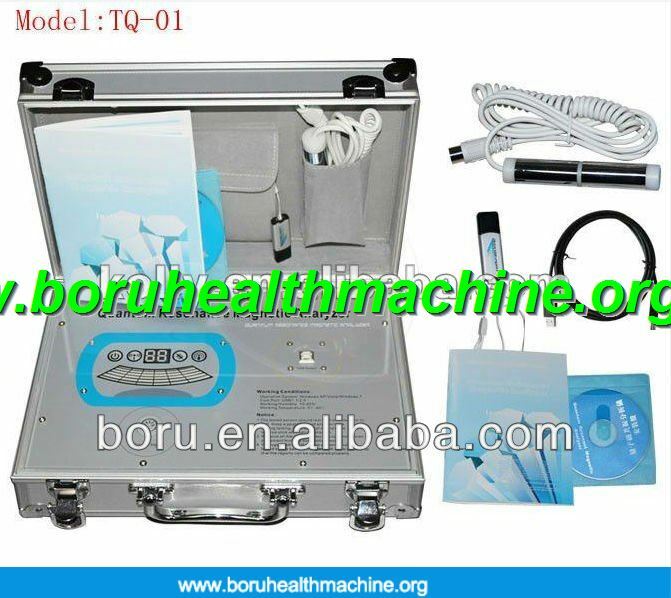 4, Simple and convenient: It is easy in operation and in general, people will be able to analyze and interpret the result through short-term training. Health check can be performed in any place and at any time, saving the time of patients. The cost for analysis is adequate and can be accepted by most consumers. Pain is the body’s warning system. It alerts us to injury or illness. Pain signals in the form of electrical impulses, travel through the body’s nervous system from the site of the injury or ailment to the brain. Then, at the brain, these impulses are interpreted as pain. T. E. N. S. Stands for Transcutaneous Electrical Nerve Stimulation. Pain, whether chronic (long-term) or acute (short-term, often from surgery or trauma), can be relieved through a variety of methods including drugs, topical ointments, surgery, and electrical stimulation. T. E. N. S. Devices deliver mild electrical pulses through the skin to stimulate the cutaneous (surface) and afferent (deep) nerves to help control pain. Unlike drugs or topical ointments, T. E. N. S. Does not have any known side effects. There are a number of advantages of T. E. N. S. Which makes it appealing to both the clinician and the patient. T. E. N. S. Is user friendly and safe to be used by the patient at home. It therefore offers the patient a self-management option — a desirable aspect of any treatment program since this has been shown to increase patient compliance and response to treatment. 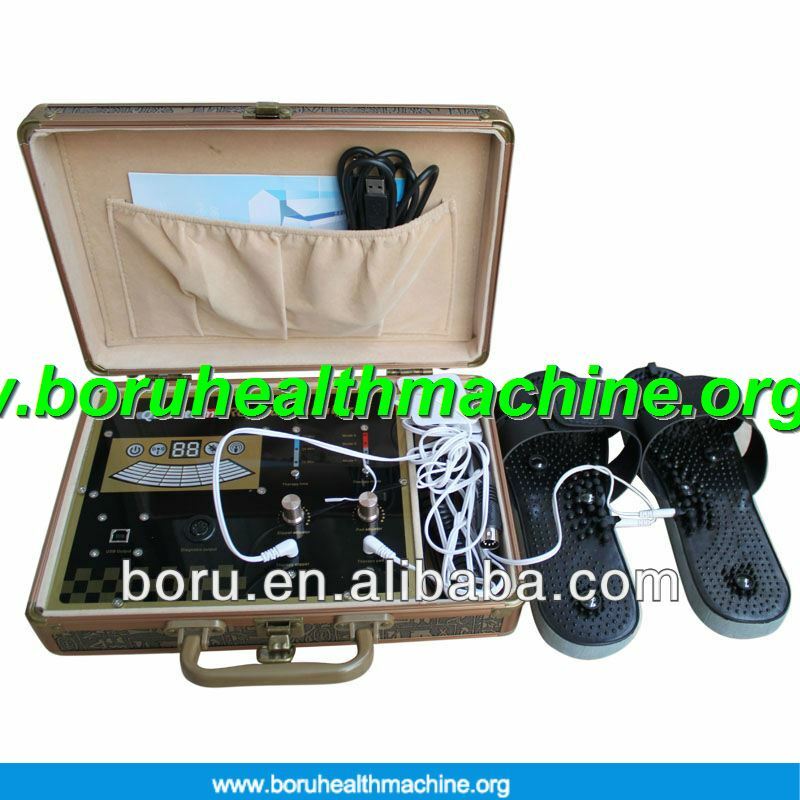 This device is coming with the TENS Pads and Slippers treatment function, which is very effective and easy to use. Transcutaneous electrical nerve stimulation (TENS) is a therapy that uses electrical current delivered through electrodes to the skin for pain relief. Electrical stimulation of the nerves may encourage the body to produce natural painkillers called endorphins, which may block the perception of pain. TENS is done with a small, battery-powered machine about the size of a pocket radio. 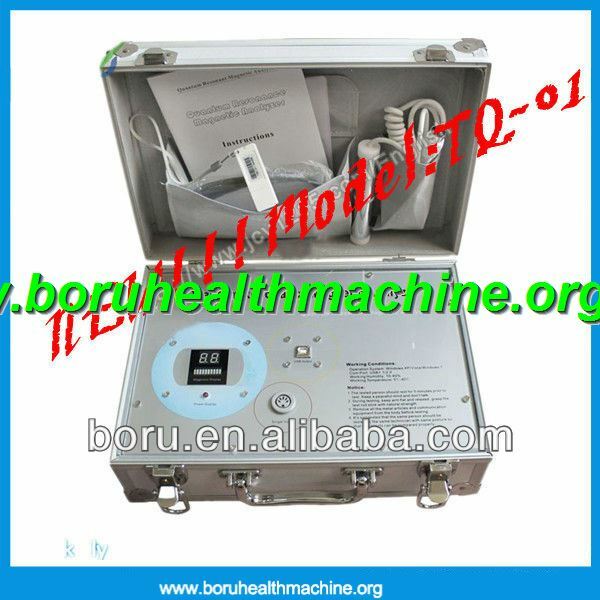 Usually two electrodes, wires that conduct electrical current, are connected from the machine to the skin. The electrodes are often placed on the area of pain or at a pressure point, creating a circuit of electrical impulses that travels along nerve fibers. 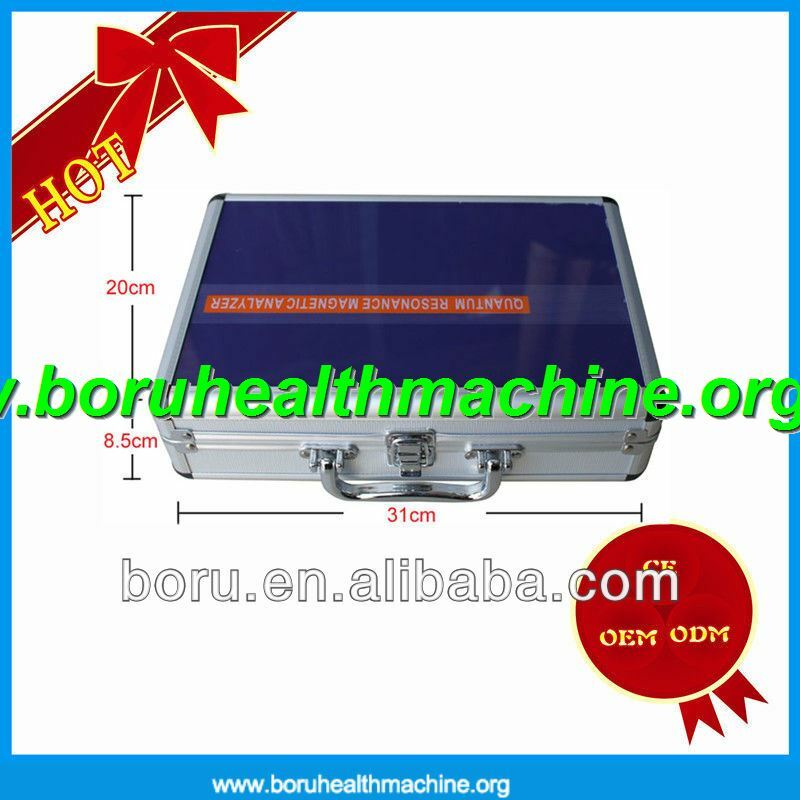 The machine can be set for different wavelength frequency, such as a steady flow of electrical current or a burst of electrical current, and for intensity of electrical current. These settings are usually determined by your physical therapist or doctor. After an introduction to and instruction in this therapy, TENS can be done at home. TENS is used to relieve pain for several different types of illnesses and conditions. It is used most often to treat muscle, joint, or bone problems that occur with illnesses such as osteoarthritis or fibromyalgia, or for conditions such as low back pain, neck pain, tendinitis, or bursitis. TENS has also been used to treat sudden (acute) pain, such as labor pain, and long-lasting (chronic) pain, such as cancer pain. Although TENS may help relieve pain for some people, its effectiveness has not been proven, and it is not considered to be a long-term solution to pain. TENS is generally considered safe, although the machine could harm an adult or child if misused. Have your physical therapist or doctor show you the proper way to use the machine, and follow these instructions carefully. 2.) Put the pole plugs into two pole window patching (and also the slippers) and turn on the switch. 3.) Put the pole window patching on the part to receive therapy. Put on the slippers. 4.) During treatment, the feet and the part that the pole window patching touches will gradually feel the librations of the frequency wave. Then turn the treatment knob to the strength that one can afford. It’s normal that the left and the right wave may be different. 5.) 15-30 minutes in each part of the body. 1 ~ 2 time a day. 10 days form 1 treatment period. If you have any question about this machine, pls feel free to contact us at any time, all email will be replied within 24 hours.